ABSL has been selected by NASA to provide batteries to power its Lunar Reconnaissance (LRO) spacecraft. 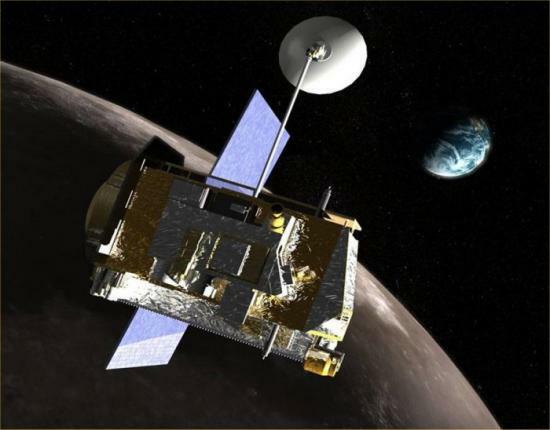 This spacecraft will be launched in 2008 and will survey the moon looking for new landing sites that can be used to set-up bases on the moon that will be used for further exploration of the solar system. The contract to supply the batteries is worth $1.7m. ABSL has a long-standing record of success of supplying components to NASA's Goddard Space Flight Center (GSFC). In March 2006, a Pegasus rocket launched the three NASA Space Technology 5 spacecraft that were powered by ABSL Lithium-ion batteries. ABSL has also delivered batteries for the THEMIS spacecraft, due to be launched later this year, and is currently designing the batteries for NASA's Solar Dynamic Observatory (SDO) spacecraft. planned to reduce the requirements on astronauts and minimize the need for man rated systems. The first series of unmanned programs is the Robotic Lunar Exploration Program (RLEP). RLEP will commence with the LRO mission that will perform a number of tasks that are crucial to planning where on the moon the next generation of astronauts will land and exactly what conditions they will face there. An area of strong interest is the lunar South pole. With the detailed mapping capability that LRO will provide, it is strongly expected that sites with permanent solar visibility will be found. Such areas offer the potential for unlimited access to solar power. In addition, LRO will also investigate the belief that near the South pole there are permanently shadowed craters containing large deposits of frozen water from ancient comet impacts. The local availability of unlimited sunlight and precious water make the South pole an excellent candidate for NASA's long-term vision: a permanently manned lunar base. Rob Spurrett, Director of ABSL Space Products commented: "We are delighted to be working with NASA once again. Many of ABSL's staff were inspired to work in the Space industry by the Apollo programme, so to be involved in NASA's return to the moon is a dream come true. It is feather in our cap that NASA comes to us for help on their most important missions." Gopal Rao at NASA GSFC said: "LRO is a mission that will accumulate a high number of charge/discharge cycles over the target 5-year mission duration. The proven performance of ABSL batteries in the high cycle operating environment of Low Earth Orbit, together with the quantity of lifetest data available on their cell, was crucial to their award of the LRO contract." 2500 cell-years of space operation have been built up without a single failure. ABSL has been an active player in the space industry for over forty years with heavy involvement in ion thruster development, the Strategic Defense Initiative, UHF Antenna, IR Calibration Systems and Lithium-ion batteries. The next chapter appears to be starting with major development contracts from the European Space Agency (ESA) for LIDAR technology. ABSL POWER SOLUTIONS AND ULTRACELL(r) PARTNER TO MARKET PORTABLE FUEL CELL SYSTEMS ACROSS EUROPE ABSL Power Solutions Ltd (ABSL), a leading UK portable power developer and manufacturer, and UltraCell Corporation, a leading producer of reformed methanol fuel cells (RMFCs) for mobile power applications, today signed a partnership agreement to deliver solutions based on UltraCell's groundbreaking fuel cell system, the XX25(tm), in the UK and throughout Europe. Under the terms of the new agreement, ABSL will market the XX25 system in the UK and across Europe. The MOD has just awarded ABSL Power Solutions Ltd (ABSL) and QinetiQ Ltd (QinetiQ) a contract to mature technology for the next generation of portable power systems. The contract, worth up to �5 million was awarded for up to three years, follows an open competition under the UK MOD's Technology in the Supplier Base (Output 6) research programme and will be managed within the Dismounted Close Combat Integrated Project Team (DCC IPT). AEAT Battery Systems Limited (ABSL) in Thurso has embarked on an ambitious development project, with help from Caithness and Sutherland Enterprise (CASE) and supported by the Scottish Executive - which could ultimately result in additional jobs at the company's Thurso plant, Denchi House. The new development will safeguard ABSL's existing 150 employees in Thurso and once technology from the latest research and development projects is proven and commercialised, the company expect the workforce to increase significantly.